Bérengère Vigneron concentrates on trade law, with a particular focus on trade remedies and customs. Over the course of her education she has acquired the legal skills to assist clients in the European Union, United States, France, and United Kingdom. 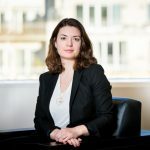 Bérengère also regularly works with Steptoe’s transatlantic team on EU export control and sanctions matters, bringing comparative insights into the EU and US regimes. This enables her to seamlessly coordinate with colleagues in the US in providing advice to clients.